Ice Skating at the Frank–the Frank Southern Ice Rink in Bloomington that is! 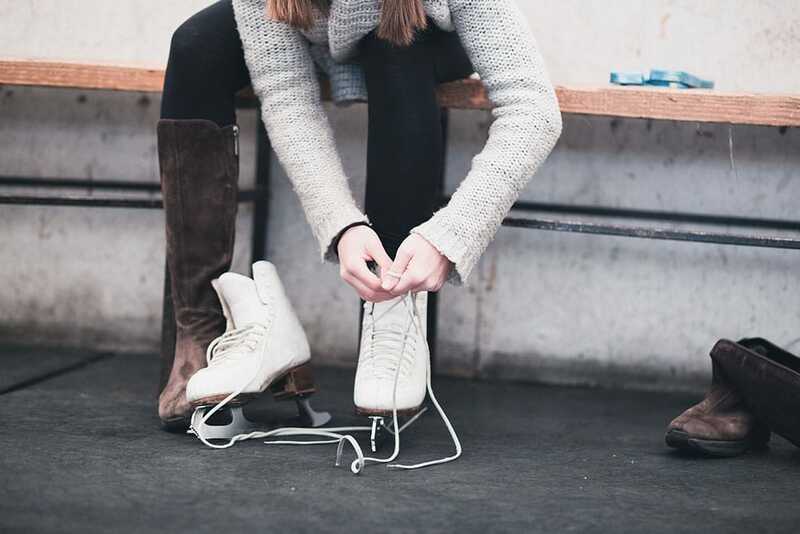 From public skating (including Lunar and Night Owl) to hockey, private parties to small groups, the Frank Southern Ice Rink in Bloomington, IN has a little something for everyone. Its located right by Bloomington South high school, with a Starbucks nearby. Head out and have a great time! There’s also an economy pack of 10 available at a discount for those who want to get there Bloomington skate on a bit more frequently. Saturdays 10/14-2/24 7-9 p.m. Does not take place on 12/30 or 1/6. Skate in a specially lit, lunar-like arena while listening to the best hits of the ’80s, ’90s, and today, courtesy of the Arena’s super-watt sound system. Groups of all sizes and skaters of all ability levels are welcome! Saturdays 10/14-2/24 9:15-11 p.m. Does not take place on 12/30 or 1/6. Enjoy late night skating at the Frank Southern Ice Arena. Frank Southern Ice Rink Calendar–All the latest events and hours! For the latest hours and events, check out the Frank Southern Ice Skating Calendar. Bloomington (Indiana) Hockey? You bet! Yes, there is hockey in Bloomington, for kids of all ages. Check out the calendar above for game times. If you are interested in the youth program, visit the Bloomington Blades. And, yes, yes, there IS an adult hockey league too, so if you are up for a little fun on the ice that’s a bit more aggressive (but not over the top!) than ice skating, check it out! Rent the rinkside party room for your next birthday, holiday, or company party, or just for a group of friends. This climate-controlled room with a panoramic view of the rink is the perfect size for up to 20 guests. Per-person group rates (10 or more people) are $5 (includes skate rental) or $4 (bring your own skates). Includes use of party room during public session, and cleanup. Includes use of party room during public session, 10 admissions with skate rental (additional skaters are $5/person), and cleanup.